It’s been a few years since the Forever Evil crossover event shook up the DC world, but I’m still catching up with a lot of the New 52 stuff, most recently taking a look at some of the books in this storyline. Unfortunately, I read these books in entirely the wrong order, which probably didn’t help the flow of the story at all! But even so, I think the main meat of this story is actually pretty great, and for the epic feel that it has, I think it should definitely be on your to-read list! Forever Evil is the culmination of several threads that have been scattered throughout several New 52 storylines since the comics launched. The Trinity War crossover event from the Justice League story ended with a gate being opened between Earth-0 and Earth-3 by Alfred Pennyworth, to bring the Crime Syndicate into Earth-0. The Crime Syndicate is basically an evil version of the Justice League that we’ve been following for 20-odd issues now, led by Ultraman – an evil Superman who actually requires kryptonite in order to retain his strength. Reading this book, for a lot of the earlier issues I was enjoying seeing the comparisons, actually, while the main story was set up. The book begins with the Justice League out of the picture, having been imprisoned within the Firestorm matrix. Crucially, Cyborg’s computer system rejects his human remains and forms The Grid. The main conceit behind the event, of course, was the fact that the villains become the heroes, and that is shown up on the front cover there, where Lex Luthor is heading up a rag-tag bunch of villains. The Crime Syndicate frees several mass villain groups from across North America, which form the foot soldiers of the Syndicate – the Secret Society. However, Captain Cold’s Rogues rebel from this notion, having their code and all, and Cold pairs up with Luthor, who has built something of a bodyguard from an incomplete clone of Superman, who is named Bizarro. The wheels soon begin to come off the Crime Syndicate, as Superwoman and Owlman plot to break away from Ultraman’s control. Batman and Catwoman have managed to survive the capture of the Justice League, and bring Cyborg’s human remains back to STAR labs, where Victor’s father once again crafts a metal suit to help save his son. Luthor and Batman eventually team up, alongside Sinestro and Black Adam, and they all go after the Crime Syndicate, who appear to be using the crashed Watchtower as a base of operations. It turns out that the Syndicate brought a prisoner with them, Alexander Luthor, who in Earth-3 has been killing superbeings and absorbing their powers. Alexander Luthor fights against some of the remaining Syndicate members, as well as the Batman/Luthor coalition, and is only defeated when Luthor himself manages to call down the power of some dark lightning that robs Alexander of his power. Batman is able to release the Justice League from the Firestorm matrix, and they round up the defeated Syndicate – though Owlman manages to elude capture. The book ends with Superman guessing that Darkseid is chasing the Syndicate across universes, but the final page reveals it is actually the Anti-Monitor that is at the root of all these problems. It was a really good read, with some very interesting twists and turns along the way. I’ve tried to gloss over several plot points, as there is actually a great deal of story going on here. I think more long-term fans of the comics will appreciate some of the more esoteric nods made along the way, and if you follow multiple books month by month, you’ll no doubt get a lot more out of this book than I was able to, coming at it primarily from a Justice League standpoint. But even so, it’s a pretty epic story that is quite pivotal to the DC universe at this point overall, and as I said at the beginning, it’s definitely worth picking up if you haven’t done so already! 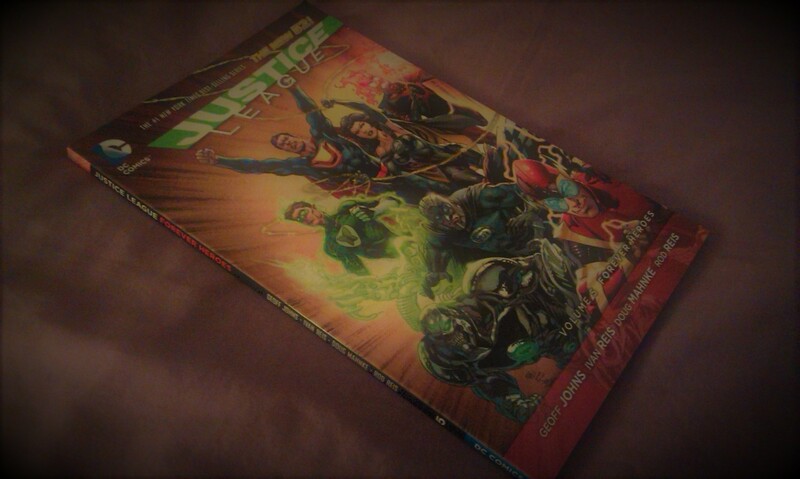 The next book I read was volume five in the Justice League ongoing series, Forever Heroes. 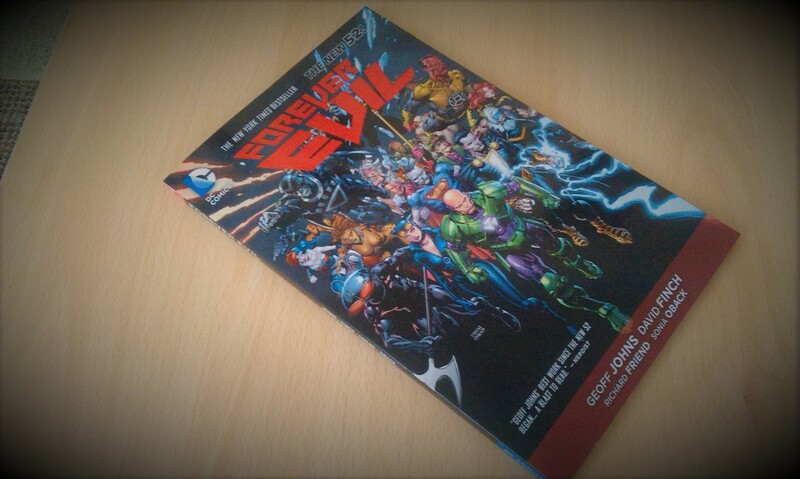 I actually read this book before the main Forever Evil book, which didn’t really detract too much from the overall story, though I suppose I should point out that I’ve had some exposure to the storyline anyway through the DC Deck Building Game. Forever Heroes feels like a succession of smaller stories that tie-in with the main plot of the crossover, starting with revolutionaries in Kahndaq reviving Black Adam, who subsequently has a confrontation with Ultraman that was referenced partway through the opening of the main book. We then move to an Owlman-centric story that shows his bizarre bond with Nightwing, the Earth-0 version having been captured by the Syndicate early in their invasion. We get a little bit of backstory on other members of the Crime Syndicate as well, which is unified through The Grid’s attempts to feel something. Meanwhile, we see Cyborg’s reconstruction, and follow him as he recruits the Metal Men as allies – I think Platinum already featured in the fourth volume (linked earlier) where the Justice League had an open-call for new members. Together with his new allies, Cyborg manages to take down The Grid, which is again referenced in the main event book. It was a little episodic, and while I don’t think it detracted for me reading Forever Heroes before Forever Evil, in general I think you’re better off reading the main book first. Seeing these side-events afterwards will then allow that story to feel more fleshed-out and stuff, anyway! There are three more books in the Forever Evil series – ARGUS, Arkham War, and Rogues Rebellion – though I only have the third in that series currently, so haven’t read anything more as yet. Need to wait until payday before I make the move there, I think! I get the impression that these books act much like Forever Heroes, and serve to further flesh-out the main story, which stands up perfectly well as it is, but we comic book nerds always like to have as epic a canvas as possible, right?! Forever Evil led to the shake-up of the Suicide Squad (and eventual re-launch as New Suicide Squad), Justice League of America (relocated to Canada and re-launched as Justice League United), and the main Justice League, itself, which sees both Luthor and Cold join the ranks. The next main event for the DCU was, I believe, the Superman Doomed storyline, which was set up in volume one of Superman/Wonder Woman – a book that I really enjoyed! I’m going to continue with my investigations of these various events over the coming months, anyway, so stay tuned for more awesome stuff!! It’s game day here at spalanz.com, and I’m once again taking a look at Magic the Gathering, after almost a week of listening to a variety of podcasts, predominantly The Command Zone, the MtG Commander podcast hosted by Jimmy Wong and Josh Lee Kwai! I think I may have been sort of tangentially aware of this for a long time now, though at the weekend thought I’d just give it a go after seeing an episode featuring TheMagicManSam, whose youtube channel I really enjoy (and you should totally subscribe to him, as he has some truly amazing content!) Over the weekend, I really fell down the rabbit hole, and having some time off work later last week I continued on, listening to a lot of those shows. And, you know what? I got really excited for Commander! @commandcast I've been trying to make a Boros deck since I discovered your podcast this weekend – this could be exactly what I need!! 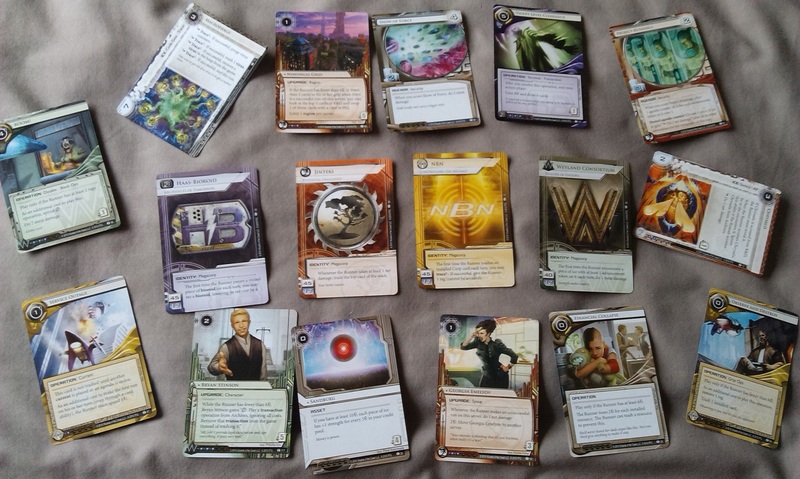 I’m not exactly great at building to 100-cards, predominantly because of my lack of experience I suppose, so in the meantime, I’ve bought some of the preconstructed decks from the last couple of editions, and thought I’d ramble a bit about these now! 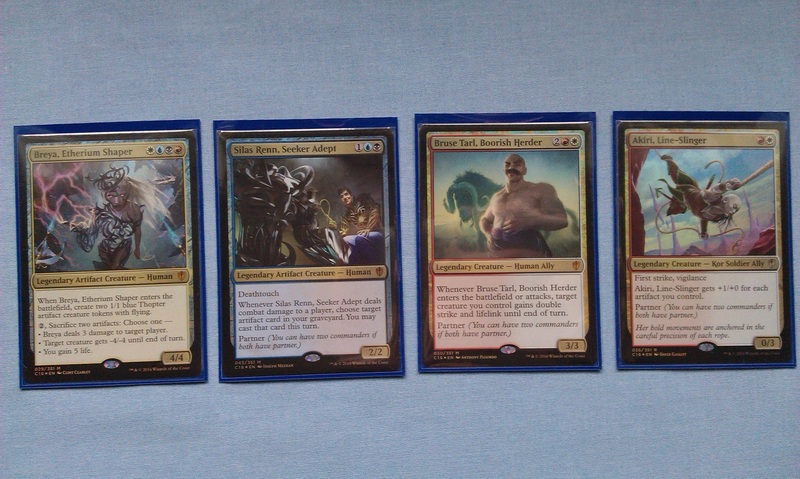 I have to say right here, four-colour Commanders seem weird to me. There’s an article on wizards.com that details the design process they went through to get to these folks, and it sounds like it took a lot of work to get there. So, don’t expect any more four-colour Commanders any time soon! In fact, I’d be surprised if they went down the route of four-coloured creatures ever again!! The design process is really interesting to read about, though, and another article on the website from lead designer of C16, Ethan Fleischer, talks about how the four-colour factions developed an identity that echoed the Ravnican guilds or the Tarkir clans. Definitely worth checking it out! Breya, Etherium Shaper is currently really expensive, so I was lucky to get a hold of this, I suppose. Looking through the deck, though, it’s not hard to see why – the four foil Legendary creatures above are almost half the value of the entire deck, alone! The deck, Invent Superiority, is one of the 2016 Commander decks, which feature the new Partner mechanic that basically allows you to have two Commanders on the board – Breya is the cover Commander for the deck, but the other three guys in there each have Partner, which means they can be used in combination with each other, or with any of the other secondary Commanders from the 2016 set, each of whom also have Partner to provide a total of, what, 105 combinations of Partners?! Blimey. Partner Commanders were designed as a second way to get four-colour Commanders, effectively cheating the system, and were inspired by the Return to Ravnica split cards. These cards featured effectively two different cards that you could cast individually or, if you had the mana, you could fuse them together and cast them as one card. Interestingly, these Partner Commanders are all drawn from across Magic’s long history, with many of them having names evocative of both the Ravnican guilds, and also the Tarkir clans. I really hope we see more Partner Commanders, though I do feel it might fall by the wayside like Lieutenant. Really great stuff, though, all round! Those four aren’t the only Commanders in the deck, however, as we have a total of seven more possible Commanders here, reprints all – six Legendary Creatures, and a Planeswalker! I’ve already got a couple of these cards, but reprints like this are always very nice. Especially when Daretti himself has been climbing in price. He still isn’t as expensive as his new card from Conspiracy 2, but he’s surprisingly costly, all the same. I don’t really want to turn this blog into some kind of comment on the value of these things, as I measure the value in terms of how much enjoyment it can be to play, rather than how much I have to fork out to get it, but I think it’s interesting to note just how much it would cost to make these preconstructed decks for yourself. All of the possible Commanders from this deck add up to almost the total cost that I paid for it, £23.99, and I just think that’s nuts! Finally, I just wanted to mention the fact that this deck includes copies of some extremely interesting cards that I’ve heard so much about from Magic’s history, but never thought I’d get to play – Skullclamp, Cranial Plating, and Baleful Strix. Magus of the Will is a new card that follows a tradition that has been seen throughout Magic expansions since I think Time Spiral, where older, more powerful cards are reprinted as ‘Magus’ creatures – here, Yawgmoth’s Will. 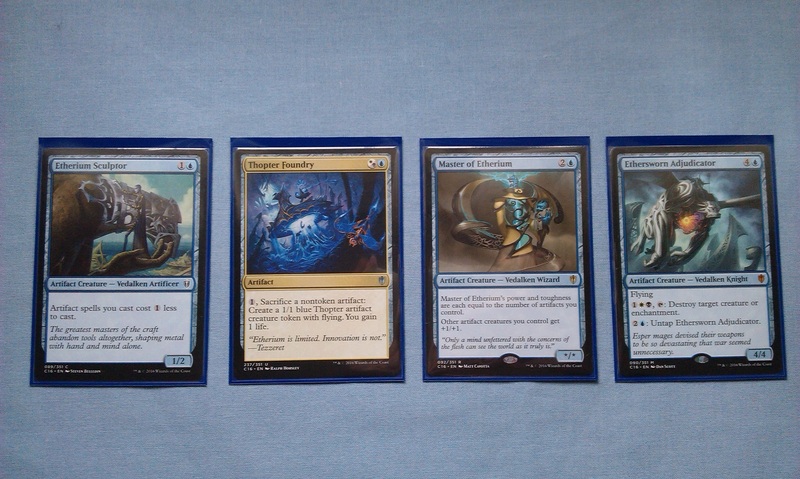 These four cards bring the total value of the deck discussed so far up to around £30 as of the time I’m writing this, which is actual MSRP – and that’s just fifteen cards! There are 85 more cards in this deck! Sure, eighteen of them are basic lands, but still! It’s pretty crazy, even if there isn’t the on-colour Nephilim in the deck to enjoy! But I suppose that doesn’t really fit into the theme of this deck, which is naturally artifact-heavy (though no signets, oddly), so maybe Wizards will be looking at re-imagining the four-colour combinations further down the road? (That said, Entropic Uprising does have the white-less Nephilim involved). I feel like we should also talk Affinity here. I’ve already said how the deck is artifact-heavy, so I suppose it’s unsurprising that the Affinity mechanic would be in here somewhere, and it’s always something that makes me feel a little twitchy. Affinity is a keyword that allows you to reduce the generic mana cost of a card with Affinity for each type of card you control that is quoted in the text, which was most infamously “Affinity for Artifacts”. I’ve played a lot of Magic on the app, which has a really godawful Affinity deck on there to play against, though I can only imagine how awful it must have been to play against these decks back in the days of Mirrodin block. The Affinity deck that appeared back then made use of the fact Mirrodin block had Artifact Lands, and led to some really dark times. The keyword has since been “fixed” in Aether Revolt by the new keyword, Improvise. Master of Etherium up there is actually a mainstay in the current Modern Affinity deck, which further adds to the value in this deck; his price brings the total deck up to £36 right now, which seems to be the current price of the deck online. I’ve not managed to play the deck yet, as I’m still trying to find more people who play Commander with a casual approach near me. However, while I do want to try to get a game in with the deck as it stands, I’ve actually been thinking about making some changes already, mainly around going further down the artifacts route (despite what I said about Affinity!) 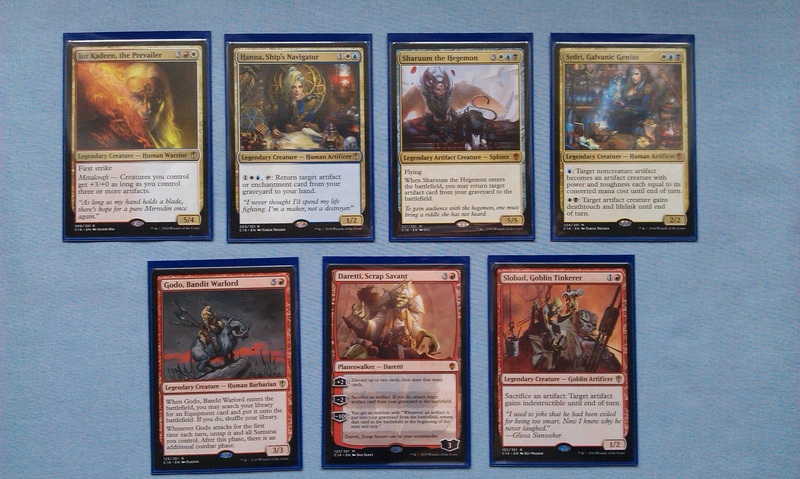 Ashnod’s Altar and some of the Fabricate cards from Kaladesh are quite high on my list, to start! I’ve got some other Commander decks that I’ve not really looked into yet, and I’m trying to put together a Boros-themed deck of my own that is currently based around Tajic, Blade of the Legion (or possibly Anax and Cymede) – though he’s in very early development at the minute, so I need to do some more building there. The basic idea I want is to flood the board with soldiers and pump them all up, so there are a lot of Heroic Creatures, a few Battalion Creatures, and so forth. Stay tuned for that deck coming soon, anyway! As I said at the beginning, though, this current Commander kick has been brought on by listening to the guys over at The Command Zone, so here’s their take on the Breya deck, including some ideas for tuning-up the deck! Author spalanzPosted on March 28, 2017 March 25, 2017 Categories board gamesTags Commander, game day, Magic the Gathering, podcasts1 Comment on Getting into the zone! It’s been an exciting day for all of the news coming out of AdeptiCon regarding Warhammer 40k and Age of Sigmar! I wasn’t quite expecting so much so soon, but I suppose the times have been changing lately, and only for the better! First of all, we’ve had a better look at the new Warhammer Shadespire, a miniature skirmish game set in the Age of Sigmar universe and apparently coming with tournament rules later this year. I’m all for skirmish games, as I think they allow for some wonderful customisable content. We’ve been talking about it at the local GW, and I think we’re all in agreement that, so long as they provide ongoing support, it could be something amazing. Hex-based movement is interesting, I suppose a bit like Gorechosen, but the fact you need cards to play the minis seems like it might have a bit of the Silver Tower thing going on at first. Hopefully they’ve learnt from that, and will provide enough content to support a wide variety of warbands right from the off. I’ve been drifting away from AoS for a while now, focusing my energies on 40k when I’ve been doing anything hobby-related, but I do think it looks like it could be great, so will be keeping an eye on this as things develop! 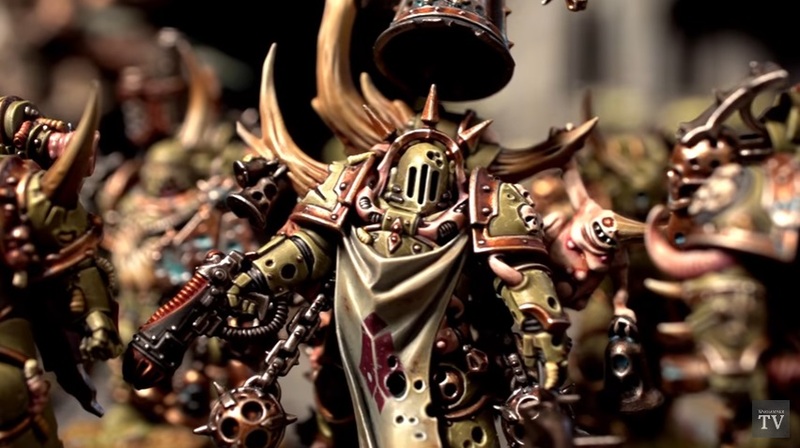 The Death Guard are getting the Thousand Sons treatment, with reports making it onto facebook that a new book and entire model range coming out soon – including the primarch, Mortarion. Is that supposed to be his scythe near the end? While I’m not planning to get myself any of these chaps, as I’m not a big Nurgle fan anyway, I think it’s fantastic that GW are moving in this way, supporting so many different factions in the game with distinctive models of their own. Sure, they do look a little too closely related to the Putrid Blightkings from the End Times of Fantasy, but I suppose it’s all thematically tied together in the end. Overall, I love seeing them support these factions in this way, and I’m looking forward to seeing what’s next on the list as the year moves on! Finally, we’ve got the exciting news that everybody has been waiting for – what are they doing with 8th Edition 40k? First of all, we’re getting a General’s Handbook-style 3 ways to play, which sounds really nice as I enjoy narrative style games. Narrative games in AoS tend to revolve around at least one side being pretty much prescribed, which hasn’t been as prevalent in 40k for me to see, so I’m not sure how well that will look, but I’m optimistic! Most excitingly, however, is the idea of army-specific rules for bringing thematic lists – unfortunately, I can see how this would be abused by power gamers and the like, but I still hope that it’ll be fun, and provide a more interesting game all round. Changes to movement and shooting I can’t really speak about, as I’ve never actually known 40k outside of the current 7th edition, but it does sound good that each model will have its own individual movement characteristic – I’ve already had the rant about needing to consult three or four pages of rules to find out how my Triarch Praetorians work! It all seems to point to a warscroll-like one page rules sheet for each unit, and I’m very much in favour of this. However, I can’t say that I’m all for changing how charges work – I think the initiative-based system for close combat is great, and thematically I don’t think you should get to go first just because you charged; what if the guys you’re running into can see you coming, and formed-up ready to meet you? Maybe there will be certain units that have quick reflexes (Dark Eldar, maybe?!) who will have specific rules to interact in this manner. I guess we’ll see! At any rate, I’m all for more theme in my 40k, so I’m looking forward to seeing what they come up with when the new edition eventually hits! Author spalanzPosted on March 23, 2017 Categories WarhammerTags Age of Sigmar, Death Guard, Games Workshop, new releases, Shadespire, Warhammer, Warhammer 40k4 Comments on Warhammer News! Titan Transnational, the Goliath of the New Angeles financial market, suffers a breach of security. For twenty-three seconds, all its sysops are locked out, and all its defenses are down. Simultaneously. For those twenty-three seconds, all its logs are erased. Millions of micro-transactions take place in each fraction of each second, but for twenty-three seconds, no transactions are being logged. No one knows who owns what. 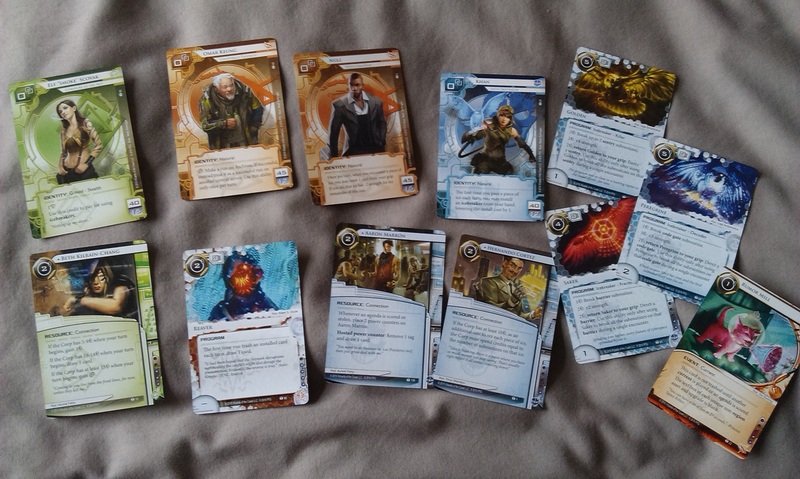 The Flashpoint cycle for Netrunner LCG sounded immense, and yet I have only recently caught up with the new packs! Terrible. 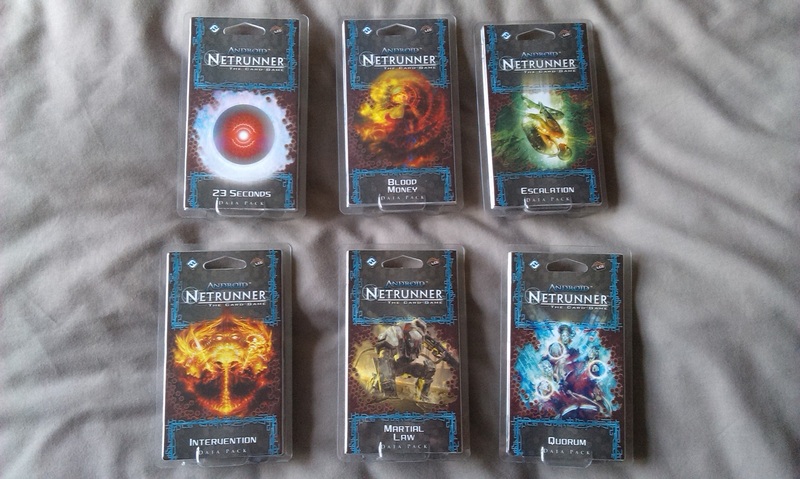 While I’m currently in the process of radically down-sizing my gaming collection in preparation for moving house, Netrunner is one of those games that I keep getting drawn back to. While I haven’t paid much attention to the game since the Mumbad cycle ended last summer, I’ve recently started to get back into web design, and there’s just something about computer programming that links very strongly in my mind back to this game. 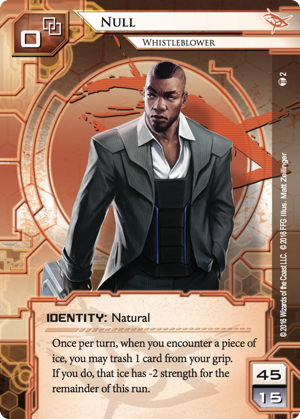 The Flashpoint cycle is the sixth cycle of data packs for Netrunner, which is important in that Rotation is looming ever closer for the game (if you’re wondering about LCG Rotation, you can check out my blog on it here). Rotation for Netrunner is coming when the first pack of the eighth cycle hits stores, and we lose the Genesis and Spin cycles. The original article postulated Spring 2017 as the date the eighth cycle would begin but, as Red Sands is the seventh cycle for the game, we’re still at least another six months or so out. We’ve also since had the announcement of the Terminal Directive campaign that seems to attempt a sort of level-playing-field approach to the game by using only the core set and that box, so it’s certainly an interesting time for fans of the game – and definitely a good time to get back into it if, like me, you’ve been away for a while! Anyway, enough with the tangents! The cards in the cycle have a focus on credits, with the money you have in the bank determining the effects that certain cards you play will have. It’s a really interesting mechanic, and I like the fact that the theme of a bank robbery is implemented into the gameplay itself in this way. There are a couple of themes that come out of the cycle, but I thought it was particularly interesting to see just how brutal some of the Corp cards are. Whether I’m having this reaction because I’m more comfortable as the Runner, I don’t know, but it struck me when I was looking through the data packs that there were a really large number of cards that do a lot of damage to the Runner, and it feels quite harsh! There are also new Terminal Operations, which ends the action phase when they are played but provide pretty decent benefits in return. I probably need to go deeper into the card pool here, of course, but I feel that the Corp is definitely the one benefiting the most from this cycle. Of course, that’s not to say the Runner doesn’t have lots of nice new toys as well! Each Corp gets a new identity, and there are four new Runners across the cycle, also – including two for the Anarch faction. 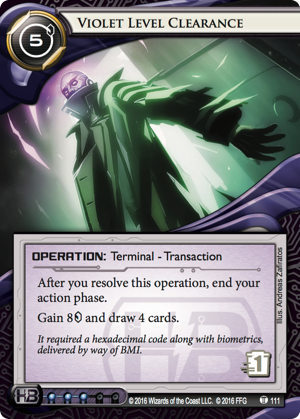 While I’m usually most-drawn to the Shaper faction overall, as I love the ethos behind them, there are several exciting new Criminal cards (more shortly) and the new Null Runner is making me want to build an Anarch deck! We’ll have to see where that goes. What’s more, there are also new cards for each of the three mini-faction Runners that were introduced in Data and Destiny, which is really exciting to see! While the linked article there did say that the majority of cards these Runners would ever receive are in that expansion, it is still nice to see that they aren’t a one-time gimmick. 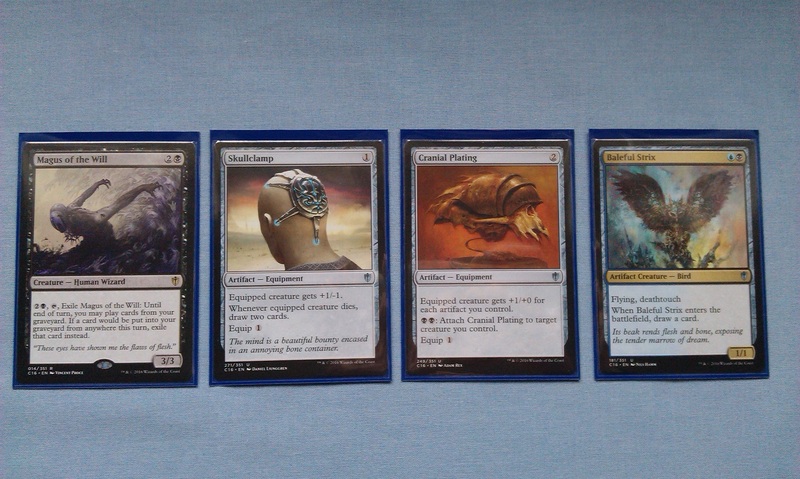 The sixth pack, Quorum, was particularly difficult to get hold of in my recent catch-up splurge. Why? Well, I think it has something to do with the HB Terminal Operation, Violet Level Clearance. 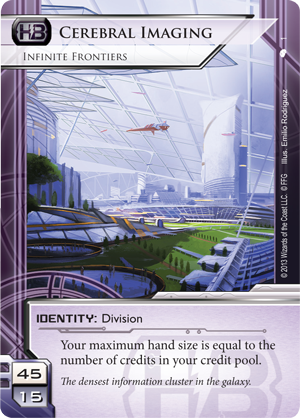 This card appears to have made quite the splash in the Netrunner tournament scene when run in a Haas-Bioroid deck that runs Cerebral Imaging as the ID. The synergy with those cards is pretty great, allowing for so many options. But is it really the whole reason for the pack flying off the shelves? There is one further card that is seeing a lot more play in the game right now than Violet Level Clearance, the Criminal Resource, Aaron Marrón. For just two credits and only using up two loyalty, this guy gets two power counters whenever an agenda is scored or stolen, and you can use these counters to remove 1 tag and draw a card. I love cards that work off necessary game actions like this! It’s like Landfall in Magic, something that is necessary to the game can work even more in your favour! Wonderful stuff! I’ve been thinking about putting a Criminal deck together for a long time already; I think this might be the impetus I need! Author spalanzPosted on March 21, 2017 March 18, 2017 Categories board gamesTags Android Netrunner, card games, Fantasy Flight Games, game day, LCGLeave a comment on Flashpoint! The First Heretic is the fourteenth novel in the Horus Heresy series, and is an attempt I’ve made to get some inspiration to return to painting miniatures, after an alarming number of weeks where I haven’t taken up a paintbrush at all! Like several of these early Horus Heresy novels, the book begins decades before the actual Heresy itself, as we see the Word Bearers legion humiliated by the Emperor for their veneration of him. The book opens in the city of Monarchia on the planet of Khur, where the Ultramarines systematically destroy the city on the orders of the Emperor himself. When Lorgar arrives with his legion to discover what is going on, he is met with Roboute Guilliman and Malcador the Sigillite, who explain that the Emperor dislikes the veneration shown to him, but Lorgar refuses to heed them, swatting both aside with zealous fury until the Emperor himself teleports to the ruins of the city and rebukes Lorgar in front of his entire legion. He leaves a squad of twenty Custodes to watch over the legion and ensure they do not lapse into idolatry once more. 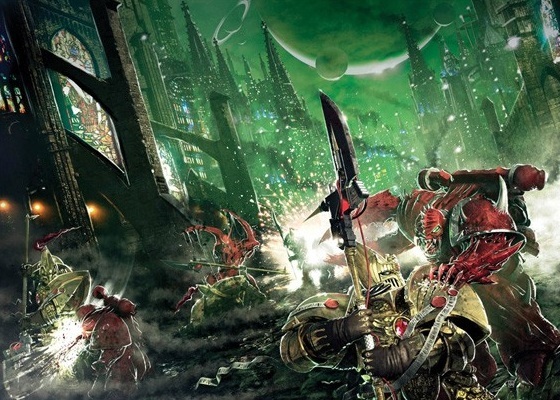 The Word Bearers then return to Lorgar’s home planet of Colchis, along with one of the few survivors of Monarchia’s destruction, and essentially lick their wounds. Lorgar determines to renew the Word Bearers’ efforts in the galaxy, and for the next few decades, they appear to make a clean break of things by ensuring compliance after flawless compliance. The Custodes and the Astartes bond somewhat, and all seems well. However, beneath the surface, Lorgar has been swayed by his closest advisers, Kor Phaeron and Erebus, into pursuing a more devious agenda. They arrive on the world of Cadia, and after being welcomed by the natives as if they had been expected, they are invited to witness a ceremony, at the climax of which one of the Custodes is sacrificed, which allows for the demon Ingethel to be brought forth from the Warp. Lorgar talks at length with the demon, before sending a small contingent of his warriors led by Argel Tal into the warp storm above the planet. In the storm, the demon explains several truths to the legion, such as the fall of the Eldar race, and also the birth of the primarchs in the Emperor’s gene labs. Argel Tal is told that the Emperor learnt how to create the primarchs from the Chaos gods, but then refused to keep his side of the bargain. In a sort of Back to the Future moment, Argel Tal is forced to destroy the haematrope reactor that allows for Chaos to enter into the labs and fling the primarchs to the four corners of the galaxy. Argel Tal and the marines with him are possessed by demons, and the Word Bearers begin their efforts for vengeance against the Emperor, by sending out chaplains into the other legions to spread the word – notably, of course, Erebus is seconded to the Sons of Horus. Several more years pass, and the legion remains outwardly loyal, though the demonic possession begins to take hold, just as news is brought of the Warmaster’s rebellion in the Isstvan system. The legion makes all haste, making sure to prevent the Custodes from landing first, and join forces with the Night Lords, Alpha Legion and Iron Warriors to provide a relief force for the main traitor legions on the planet. This book was actually a pleasure to read, despite the subject matter! I suppose, having been so intrigued by Erebus since meeting him in Horus Rising, I was looking forward to seeing more of him. That said, the main focus of this book is split between Argel Tal, captain of the 7th assault company, and the primarch himself. 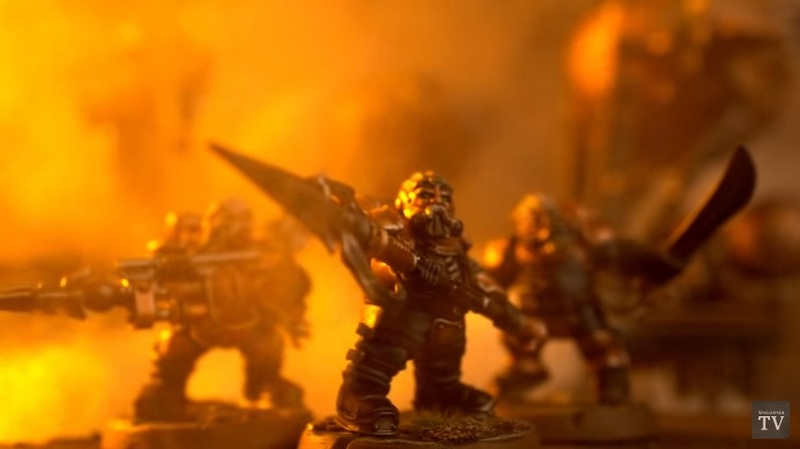 Notably, I think this is the first time in the series where we get to meet a lot of the other legions and their primarchs – the Ultramarines, Raven Guard, Iron Warriors and Night Lords all appear with speaking parts, however minute! The First Heretic deals with what I suppose can be construed as the absolute pivotal moment in the entire Horus Heresy – Lorgar turning from the Emperor and pursuing the path of Chaos. (I suppose “the Lorgar Heresy” doesn’t quite have the same ring to it, but anyway). While on the face of things, there isn’t really anything bad about this book, I did feel that Lorgar’s turn to Chaos was perhaps a little too convenient – I know that we know, as readers, what must happen, but as with a lot of prequel stories, there is a fine line to walk when dealing with the inevitability of something and making it natural and believable. For me, I’ve always struggled with accepting just how quickly Horus was seduced by Chaos in the second book, and it’s a similar thing here with Lorgar. While the story does work fine as it is, I couldn’t help thinking at times that it was only going this way because we were expecting it to do so, and it offered little surprise along the way. As with many other books in the series, we start a long way out from Isstvan V, and I do feel a little tired of this construction for Horus Heresy novels now. With the exception of perhaps Battle for the Abyss, which itself was a fairly contained storyline anyway, none of the novels I’ve yet read has advanced the storyline beyond Fulgrim – though I did skip Nemesis to read this one, so perhaps I’m missing something here. Obviously, Forge World are keen to make this into an epic tale for the ages, but a part of me can already see just how much the storyline is being milked for all its worth! But when all’s said and done, this was actually a really good book, and one that I found myself looking forward to picking up in the evenings after work, etc. It seems there are very few books that I’ve come across recently where I can say that, anyway! It’s the GAMA Trade Show 2017! Well, it’s been an exciting week for games, as the GAMA Trade Show in Vegas showed off some really cool, really interesting things that have got me wanting to play more games! I’ve been trying to digest these things all week, so let’s take a look at some highlights! First of all, it’s the return of Necromunda – it’s Shadow War: Armageddon! The internet seems to have been baying for the return of Necromunda ever since Games Workshop announced they would be producing specialist games back in the day, and while this clearly isn’t it, it’s probably the next best thing, I would think? I mean, Blood Bowl came back as Blood Bowl, and while Warhammer Quest did get the Age of Sigmar thing for Silver Tower, it still has the name. To produce a squad-based game like this and call it anything other than Necromunda just says that the original game isn’t going to be coming back any time soon. Though in the anniversary year of 40k, who knows if they’ll produce some kind of memorial edition? At any rate, I think this is really cool, and I’m excited to get myself a copy! The fact that you can use other squads is obviously tailored for selling more miniatures, but I like the fact that you can customise your game experience right from the off, so that’s a big plus in my book! GW were also showing off some of the new Kharadron Overlords at the show, which is a nice touch and they do look pretty great! But what else has been going on in Vegas? There are some interesting bits here at the Flying Frog booth, notably the looks at the Mission Packs for Shadows of Brimstone! I’m still a little bummed that I haven’t had anything beyond the base games delivered yet, but seeing those packs has gotten me once more interested in the game, and excited to see all of the rest of the content coming out for it all! There are only two other games that have sparked my attention in this montage here (from the excellent Rodney Smith of Watch It Played – if you haven’t already, please go check out his youtube channel, it’s amazing) are Rise of Tribes and Meduris: Call of the Gods. Meduris reminds me a lot like Stone Age, one of the resource-management games that feel like Settlers of Catan without being as rage-inducing. Rise of Tribes looks to have a similar feel, though I like the fact that it has a dice mechanic that determines your actions for the round, that sounds really nice and strategic… Meduris is out in the world now of course, while Rise of Tribes is going onto kickstarter in June, apparently, which is giving me some pause… I’m not the biggest fan of these things, after all, so we’ll have to see how this turns out! So yeah, that’s GAMA 2017, folks! Author spalanzPosted on March 17, 2017 March 17, 2017 Categories board gamesTags A Game of Thrones, A Song of Ice and Fire, Cool Mini Or Not, Flying Frog Productions, GAMA 2017, Games Workshop, Shadows of BrimstoneLeave a comment on It’s the GAMA Trade Show 2017! Steamhead Duardin have been promised for what feels like an age – but next month, they’ll finally be A Thing. While there is naturally already an unhealthy amount of hate going around about these little dudes, I just thought I’d weigh in here and say that I actually really like the look of them! I don’t know if I’d go so far as to buy any of them right now, mainly because I’m not really that big into Age of Sigmar at the moment (although I’m also trying to cut down on how many models I’m buying, anyway). But they look good, and I’m excited to see what people do with them when they’re released and we start to see the facebook and instagram posts with all manner of interpretations! 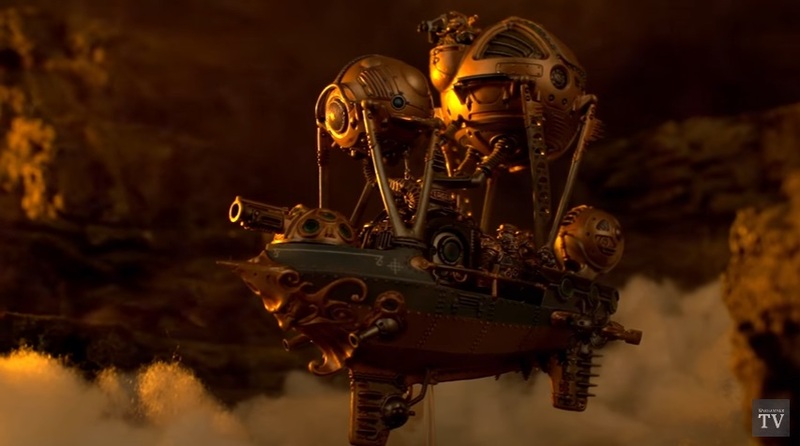 And who doesn’t love mechanical blimp riding steampunk sky pirate dwarves?! Author spalanzPosted on March 15, 2017 Categories WarhammerTags Age of Sigmar, duardin, Games Workshop, Kharadron Overlords, new releases, Warhammer1 Comment on The Overlords are coming!